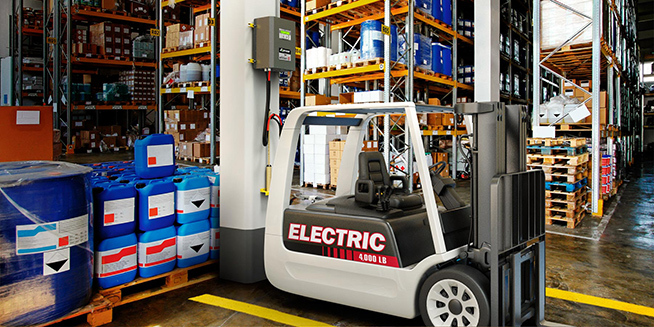 Equip a lift truck with a long-runtime EnerSys® battery and run all day long. No changing, no battery room – charge right where you park. No battery room needed, even for high demand, multi shift operations. Compact high frequency chargers mount virtually anywhere. Recharge during regularly scheduled breaks and shift changes. Reclaim warehouse floor space used for storing and changing tanks. Eliminate non-value added facility traffic. Maximize on-site space utilization and storage density. Hands down, electric trucks cut waste and deliver more uptime. See how converting to electric can sharpen your competitive edge.